IainLovesTheatre interviews Matthew on the Tony Awards red carpet! Miniature theatre critic Iain Armitage interviews Broadway stars on the 69th Annual Tony Awards red carpet for PerezHilton. Matthew’s interview is at the 6:15 mark. Darren Criss and Laura Osnes interview Matt on the Tonys red carpet. Finding Neverland performs at the 69th Annual Tony Awards! Full performance of “Stronger” at the 69th Annual Tony Awards. 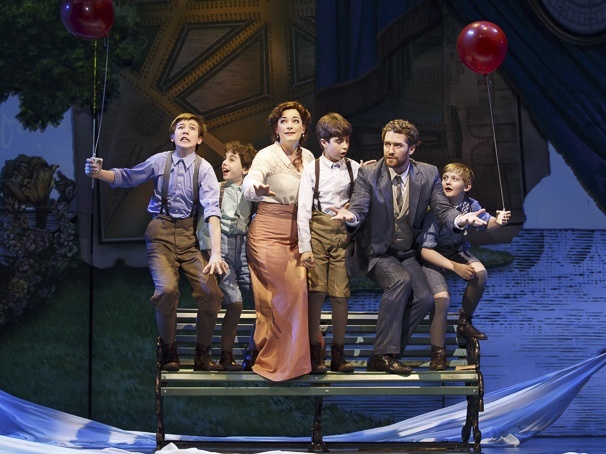 Finding Neverland to perform at the 2015 Tony Awards! Finding Neverland will perform at the 69th Annual Tony Awards, scheduled for June 7, 2015 at Radio City Music Hall.